In conjunction with local recreation departments and after-school care programs, students in grades K-5 spend an hour a week after school, for four weeks, at AWS. Students spend time with the animals, have a special tour of the adoption center, and do hands-on activities to directly benefit shelter pets. Activities vary each week and can include doing a craft, such as homemade cat toys, or preparing the dogs’ afternoon snacks. Fun and interactive lessons focus on pet care and animal behavior and teach empathy and compassion. We can accommodate up to 12 shelter helpers in each session. 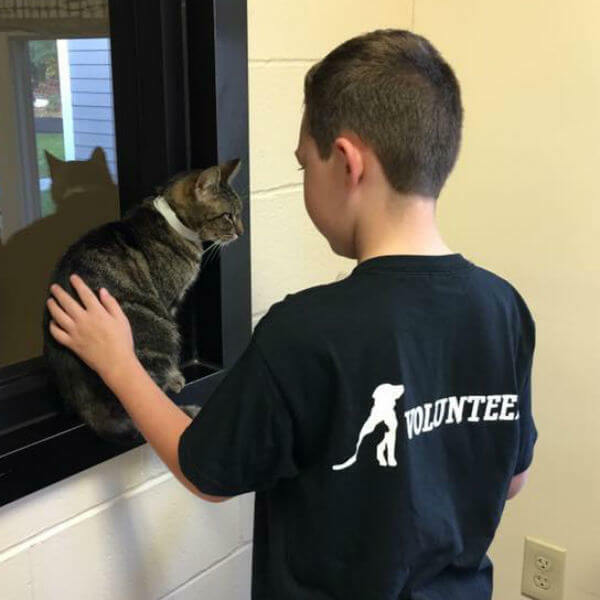 For more information on how your rec department or after-school care program can get involved, please contact Brie Roche, AWS Humane Educator, at (207) 985-3244 ext. 109.